Absolute Building Services are based in Wallington, Surrey. We are a small but expanding company. Our attention to detail, coupled with our customer service, is second to none. We convert lofts, build extensions and refurbish homes, and you can be rest assured that you will be able to live at your property throughout the conversion process and building work. We communicate with you as and when we see necessary and whenever you desire, in order to make the process run smoothly. 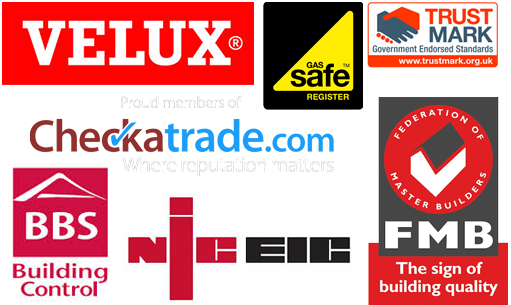 We provide the highest standard to all our loft conversions, extensions and refurbishments, knowing that when we leave we did the best job. Our reputation is very important to us. That’s why we are proud to be part of Check a Trade, where our work is vetted in order to keep up a great reputation. All our employees are vetted and wear Absolute Building Services logo shirts. We also have a very strict code of conduct that no bad language is to be used on site. You can rest assured all our employees are professional, trustworthy and friendly. The collective experience of our team goes beyond 60 years, offering you a successful and high standard of workmanship. All our team are highly experienced, insured and qualified. We try to keep our prices as competitive as possible but if you are to receive an estimate that is lower than ours, we will try to match it like for like. For a free estimate contact Darren to arrange a site visit at your convenience.